Very popular event! Relax and soak in the healing from the amazing vibrations of the crystal bowls. Laura has worked with the Crystal Bowls for years now and they continue to impress her with how much they can shift and move and open for you in such a short amount of time, no matter your energetic style. Possibilities. You enter this life with so many of them. But then, somewhere along the way, you seem to have fewer and fewer of them. Your life can feel like a well-worn track. Where did all the possibilities go? They still exist, but beliefs, ideas and patterns acquired over a lifetime tend to bury them. Crystal Bowl Healings work to quickly shift your vibrational energy field and release whatever is limiting you; Whether it's a belief that you have enough and it would be selfish to want more, or that you don't deserve to have what you want in life. 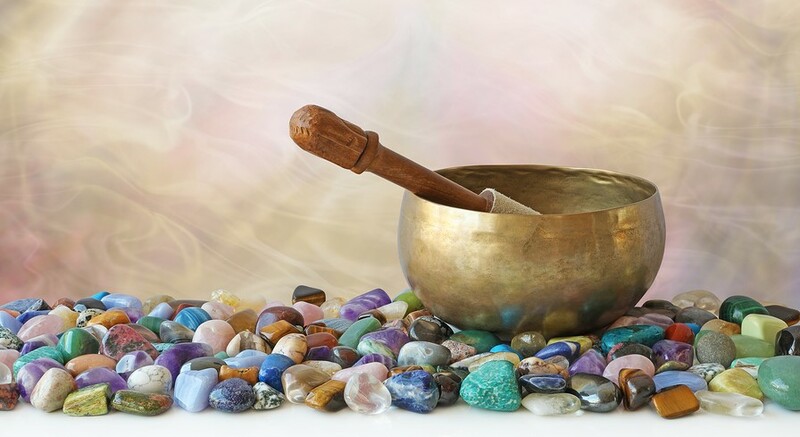 As you sit or lay in a meditative state, Laura plays the bowls, allowing the beautiful sounds and vibrations to work their magic in your energy field. The bowls play differently each time, affected by the energy in the room and what is needed to help you release old patterns. By the end of the session, you will be ready for the new possibilities that are about to walk right into your life! • Wanting to make changes at your own pace. Come discover the power of intentionally releasing and being open to what the universe is calling for you to bring into your life! Please sign up for the class in advance to secure your spot! !